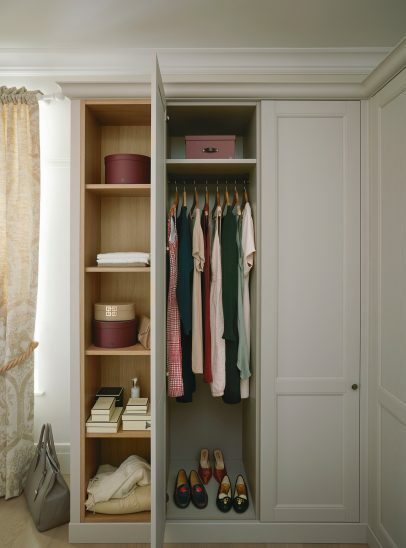 We're sharing our step-by-step guide to planning and preparing for your new fitted wardrobe. 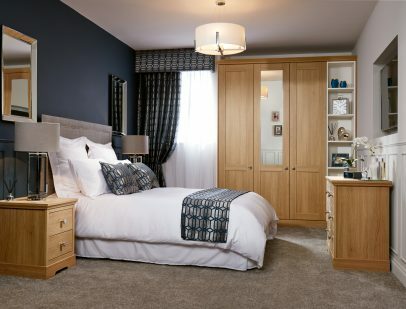 Choosing a fitted wardrobe for your bedroom is a sure fire way to transform the space from bland and cluttered, to sophisticated and organised, making a beautiful statement whilst introducing a perfect storage solution to suit your lifestyle. 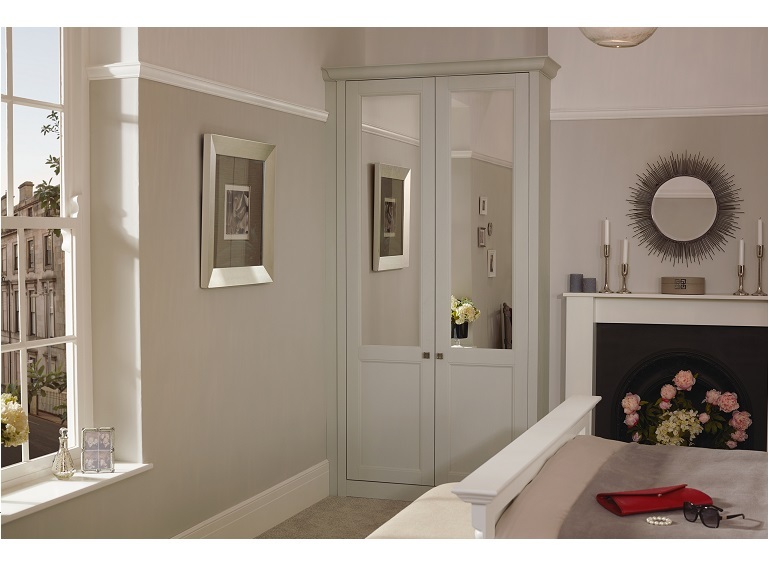 Have you decided on a fitted wardrobe for your bedroom? Great! Now it’s time to start your preparations. To ensure the design and installation of your wardrobe goes as smoothly as possible, we’ve pulled together a guide to help you every step of the way. So, you’ve set your heart on a fitted wardrobe, but have you decided where it’s going to go or how big it will be? It’s time to get out the tape measure and start measuring your bedroom from wall to wall, including from floor to ceiling. Write all of these figures down so they can be handed over to your specialist when required. 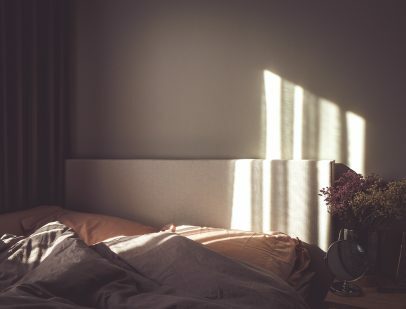 While measuring, it’s also important to note any features in your room that could affect installation, such as electrical sockets, light switches and fittings, window ledges, radiators and doors. 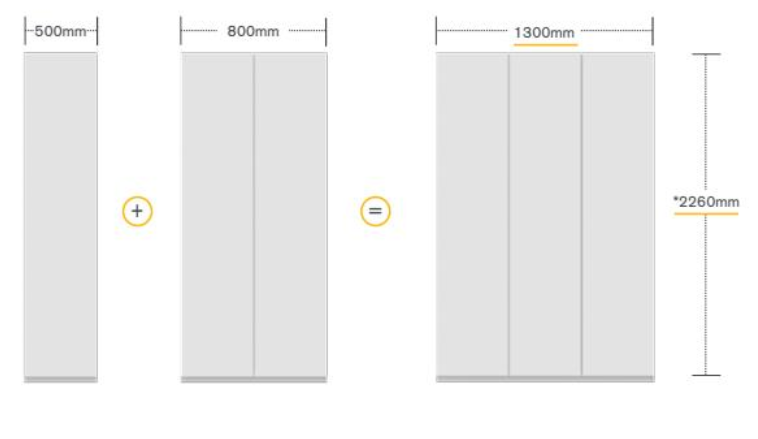 Next, we recommend you take all of these measurements and plot out your space on a square grid, like that shown below. This will give your specialist a visual aid to make the planning process quicker and easier. Now you have a good idea of the space available, and where you want your furniture to go, it’s time to decide on the sort of wardrobe you want by adding combinations together, as demonstrated below. This is when you will decide how big you want your wardrobe to be, whether it will need to accommodate the corner of a room, and whether you want your full run to be standard wardrobes, or whether you would like to integrate a desk or shelving. If you can’t fit an extra wardrobe in a run, but would still like your design to go wall-to-wall, an open shelving unit is a great way to fill this space. Once you’ve chosen the make-up of your wardrobe, it’s time to fit it perfectly to your space. 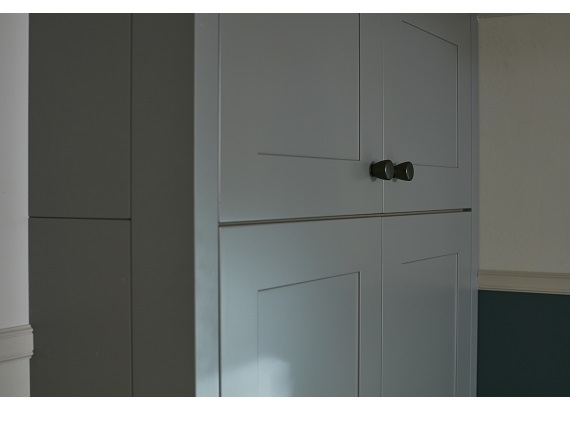 Depending on whether your design is wall-to-wall or open-ended, you will need to add either an end panel or a custom fit plinth to cover the sides of the linen coloured cabinet. 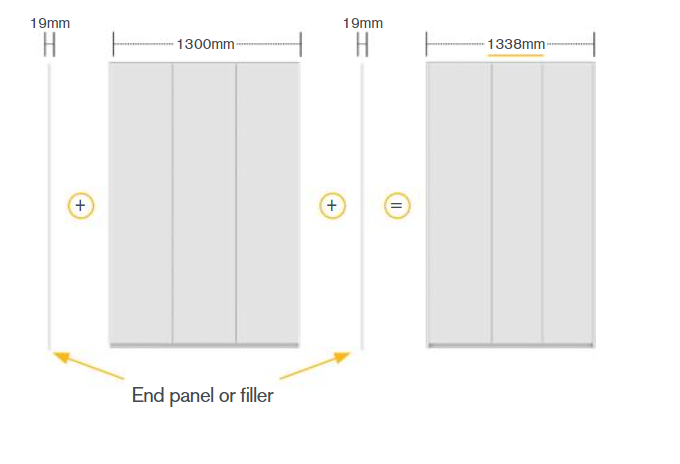 An example is shown below, where there’s a 19mm gap at each end of the wardrobe, so to allow it to reach the walls at each side perfectly, these gaps must be filled. 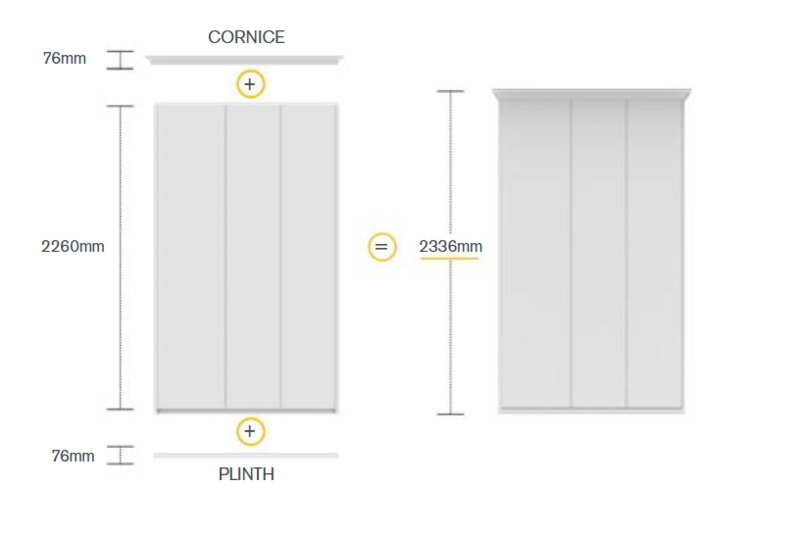 No matter the wardrobe you choose, a length of plinth will always be required to cover the structural base. If you add anything to the top of your wardrobe depends on your design, tastes and space. You can choose to add a decorative cornice, as shown on the fitted wardrobe above, or you could opt for an infill to the ceiling for a smooth finish. The last and arguably most exciting step is picking your internals! We recommend taking a moment to assess what you own, what you would like to store, what you find difficult to store in the present, and the items you would like the easiest access to. A fitted wardrobe is made to stand the test of time, so it’s important that you get this step right and design it to suit your lifestyle and tastes- that way, you can continue to reap the benefits for years to come. 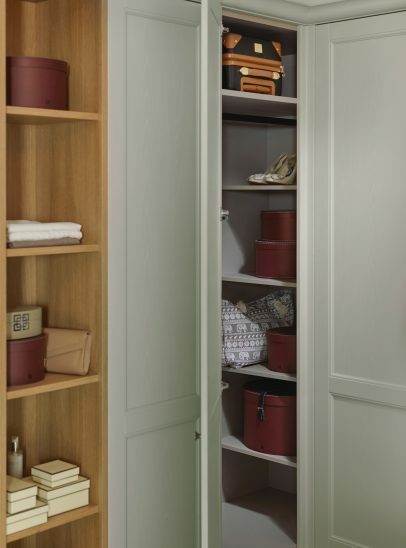 At Kindred, we have multiple internal storage options for our wardrobes. You can choose from pre-determined bundles or create and design your own, depending on your storage needs. Mix and match from a selection of hanging rails, additional shelves, drawer organisers, pigeon hole shelving units, stackable drawers and shoe storage solutions. You can view our full internal range here. We hope you love your fitted wardrobe! Has our guide been useful to you? Do you have any advice you’d like to share, or questions you’d like to ask? Let us know over on social media! Check out our full range of wardrobe styles here. Check out our full selection of wardrobe handles here.